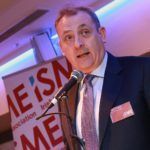 ISME, the Irish SME Association, wishes to counter some of the spin that has been prevalent in the public domain over the last few months regarding insurance costs. We append a list of the most egregious spinning offences to which we will add more if they come to our attention. SPIN: No evidence that if the cost of awards decreased, the cost of insurance would fall. FACT: Untrue. PIAB was set up in 2003. Central Bank Data from 2013 on private motor insurance show that during the period 2003 – 2013, average premiums declined sharply by 47% and 48% for comprehensive and third party fire & theft cover, respectively. However, in the latter years, the pace of this decline slowed. This coincided with the reduction in number of cases settled though PIAB. The suggestion, therefore, that insurance would not fall if awards did ignores the historic experience with claims costs. SPIN: The right to litigate is enshrined in the constitution. FACT:Distraction. It is, but no one is suggesting access to the courts should be removed. This is a strawman argument made by the lawyers to suggest reform will block access to the courts. However, we need to get back to a situation where most (i.e. all but the most contentious) PI cases are settled by PIAB, where costs are typically no more than 6.5%. Courts should hear outlying cases, or appeals of contentious decisions only. SPIN: The cost of claims is only a small factor in the cost of insurance. SPIN: Legal costs aren’t a significant part of the cost of insurance. SPIN: The payouts for whiplash are falling. FACT: Misleading. There is insufficient data to make this claim. The claim appears to be based on comparing the average PIAB whiplash payout of €18,581 with the ‘minor-full recovery expected’ €19,400 range value shown on page 27 of the Book of Quantum. But the €19,400 range value is the TOP of the minor injury classification, and is not indicative of an average award. SPIN: The €18,581 average whiplash payout announced by PIAB is for more serious cases of whiplash. Most of the awards are for €4k-€5k. It is unlikely, therefore, that many of the settlements within the €18.5k figure are for moderate to severe and permanent whiplash. SPIN: Where there is no negligence, there is no claim. FACT: Untrue. Innocent defendants are regularly sued where there has been no negligence, or in some cases no accident. These are reported upon weekly, so there is no need to give a list of citations, but this is just one example. SPIN: There has been no increase in the number of claims. FACT: Untrue. The PIAB Annual Report 2017 shows that, barring 2015 when there was a slight dip, the number of awards has climbed every year to 2016, when it reached 12,966, a 55% increase on the 8,380 claims in 2010. SPIN: Judges are obliged to follow levels of damages set out in the PIAB’s Book of Quantum guide. FACT: Untrue. Judges are required only to ‘have regard to’ levels of damages set out in the PIAB’s Book of Quantum guide. In practice this means they can entirely disregard them if they so wish. SPIN: A perjury act will not lower insurance costs. FACT: Misleading. ISME has never said that a perjury act is a panacea for high insurance costs. The first paragraph of our Case for Perjury Act states: ‘Introducing a perjury statute is not in itself a solution to the problem of false and exaggerated claims. In fact the offence already exists in common law… However, a statutory offence of perjury would be a significant brick in the defensive wall against a false or exaggerated personal injury claim.’ What is absent in Irish statute, unlike every other common law jurisdiction in the world, is a definition of the offence of perjury in a simple, comprehensible, actionable and enforceable form. SPIN: Reducing the cost of awards will benefit insurance companies at the expense of claimants. FACT: Untrue. Reducing awards will reduce the cost of insurance. The legal profession were sitting members of the Personal Injuries Commission and unanimously signed off on its reports. Insurance companies operate on a ‘cost-plus’ basis with their clients, and in a competitive market, will pass on savings as they did when PIAB was originally set up, or they will lose custom. Claimants will get what they are entitled to. However, the Commission has said that personal injuries claimants in Ireland avail of awards that are multiples of those in other jurisdictions. FACT: The absence of meaningful penalisation for false claimants, either in terms of criminal prosecution or civil recovery of defendants’ costs represents a real and ongoing temptation to take personal injuries cases which would not be risked in other jurisdictions. SPIN: Those lobbying on insurance ignore the serious, life-changing injuries caused to many plaintiffs in motor accidents. ISME also notes that we are not the first group to have to fact-check pronouncements from the legal lobby. The Journal.ie carried out a fact-check in 2016. Legal costs in personal injury claims come to at least 37% of the cost of compensation. The legal lobby has a vested interest in maintaining high awards. It is therefore imperative for the media, in particular, to fact-check statements purporting to be objective on the insurance issue.